﻿ Sir Isaac Newton's major physics work The Principia. Like Descartes and Gilbert, Newton published his major works in Latin, though he did publish his Opticks first in his native English. His major work 'Philosophiae Naturalis Principia Mathematica (Mathematical Principles of Natural Philosophy)', often referred to as 'Principia', was first published in 1687 but his 1726 third edition is considered his definitive version usually translated though omitting the interesting 1713 second edition Roger Cotes preface discussed in our main Newton section here. An English translation of 'Principia', though Newton approved none, can be read online at Principia. Or, see the Latin original Principia at Google Books Newton. Google Books also has an 1848 English translation - HERE (it starts with an added Newton Biography that should be taken with a large pinch of salt, and further adds to the end an extra 'System of the World' an earlier less-mathematical writing of Principia Book 3 which also got published separately after Newton's death maybe against his wishes and was somewhat like Gilbert's De Mundo.) - download it and read about using Google Books at the bottom of our Science History. Newton's 'Principia' - Definitions and Axioms or Laws of Motion. "These quantities of forces we may, for brevity's sake, call by the names of Motive, Accelerative, and Absolute forces ; and, for distinction's sake, consider them with respect to the bodies that tend to the centre, to the places of those bodies, and to the centre of force towards which they tend ; that is to say, I refer the Motive force to the body as an endeavour and propensity of the whole (of it) towards a centre, arising from the propensities of its several parts taken together ; the Accelerative force to the place of the body, as a certain power or energy diffused from the centre to all places around to move the bodies that are in them ; and the Absolute force to the centre, as endued with some cause, without with those motive forces would not be propagated through the spaces round about ; whether that cause be some central body (such as is the loadstone in the centre of the magnetic force, or the earth in the centre of the gravitating force), or anything else that does not yet appear. For I here design only to give a mathematical notion of those forces, without considering their physical causes or seats." and "I likewise call attractions and impulses, in the same sense, Accelerative and Motive ; and use the words attraction, impulse or propensity of any sort towards a centre, promiscuously and indifferently, one for another ; considering those forces not physically, but mathematically : wherefore, the reader is not to imagine that by these words I anywhere take upon me to define the kind or the manner of any action, the causes or the physical reason thereof, of that I attribute forces in a true and physical sense, to certain centres (which are only mathematical points) ; when at any time I happen to speak of centres as attracting, or as endued with attractive powers." "The vis insita, or inate force of matter, is a power of resisting by which every body, as much as in it lies, endeavours to persevere in its present state whether it be of rest or of moving uniformly forward in a right line. This force is ever proportional to the body whose force it is ; and differs nothing from the inactivity of the mass, but in our manner of conceiving it." It was a central conclusion of Newton that the behaviour of bodies might be conceived of in different ways by different people involving different hypotheses - and if unseens are involved then science maybe cannot prove which is correct. And to Newton inertia can be taken as the resistance of a dead body to being pushed or equally as the resistance of an active body to moving itself. To Newton the strength of mathematics in science lay in it allowing multiple explanations, specifying how things relate but not why, as by neutrally specifying physical unseens using constants or however. Of course many lesser scientists have claimed their mathematics proves some explanation, when really it cannot. Much modern physics theory now rests basically on different mathematics produced by 'mathematics experiment' or 'thought experiment' and wrongly claimed to prove different explanation theories. 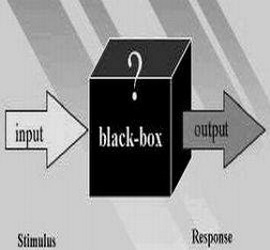 Newton's blackbox position disallowing mathematics from proving unique explanation theories still has some support, though many do not understand it or see it as a weakness. Of course Newton failed to note that over time as science knowledge increases so science blackboxes shrink, though they will never vanish. Increasing science knowledge encourages more theories and more claimed disprovings, while making it more difficult to fully specify a good science theory covering all. This shows especially in modern physics. "in a system of two bodies mutually acting (eg. gravitationally) upon each other, since the distance between their (gravitational) centres and the common centre of gravity of both are reciprocally as the bodies (masses), the relative motions of those bodies, whether of approaching or of receding from that centre, will be equal among themselves." Interestingly mutuality plays a greater part in Newton's gravity theory than in that of Descartes or others, and Gilbert earlier had also made much of the mutuality of magnetic and possibly other attraction - to the extent of giving it a technical term of his own, 'coition'. 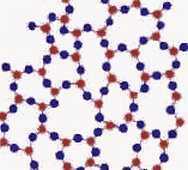 Attraction Physics could almost be as well called Coition Physics. Hence in a signal physics, 'B attracts' is not really meaningful - though 'B attracts C' is. And 'Bs emit signals that attract' is not meaningful - though 'Bs emit signals that attract Cs' is. Both Gilbert and Newton realised this, but most other physicists have basically wrongly favoured 'B attracts'. Einstein and Heisenberg realised that physics had some 'observer issues' and more recently some physicists have tried to deal with the issue (perhaps unconvincingly) in adopting Relational Quantum Mechanics. But a signal-response physics along the lines of Gilbert-Newton 'attraction physics' does seem to be capable of handling this issue more meaningfully. In a signal physics, causality is 'mutual' and what causes nothing is outside science. Gilbert basically concluded that, to a real experimental science, mere dead matter if it existed would be useless - and be unobservable - and be outside science. In his Book 1 Section 14, Newton proves that the refraction, reflection and diffraction of light can all be explained by light being attracted by and bent by gravity-like signals from materials. His light reflection involves neither particle collision surface contact reflection nor wave surface contact reflection, but below-surface attraction light bending - so light being bent by gravity is not an idea unique to Einstein as some think. Hence writes Newton, "If two similar mediums be separated from each other by a space terminated on both sides by parallel planes, and a body in its passage through that space be attracted or impelled perpendicularly towards either of those mediums, and not agitated or hindered by any other force ; and the attraction be every where the same at equal distances from either plane, taken towards the same hand of the plane ; I say, that the sine of incidence upon either plane will be to the sine of emergence from the other plane in a given ratio." And then, "These attractions bear a great resemblance to the reflexions and refractions of light made in a given ratio of the secants, as was discovered by Snellius ; and consequently in a given ratio of the sines, as was exhibited by Des Cartes." What if the only 'solid matter' is in Black Holes and the properties of Black Holes are the only real properties of matter ? Maybe this real matter only produces gravity, more in line with the real Newton ? And if 'empty matter' undermines contact-push physics theories, there may be a similar issue of 'non-full fields' also undermining field-push physics theories which require that fields totally occupy all space as well as quantum-field-push theories. Even the early Descartes-supporting Newton saw big problems with a mechanical push physics to explain mutual action-at-distance or remote-control forces like gravity, as indicated in his 'Questiones quædam Philosophiæ' (or 'Certain Philosophical Questions') about 1663 where his musings were that any push matter cause for gravitation involved impossible contradictions - see Of Gravity and Levity. There he also assumed the existence of 'magneticall rays' causing magnetism, and on the reference frame relativity of motion mused 'we judge a thing to be moved when we see it come nigher or goe farther from some thing which our senses can perceive and so we judge not a thing to be moved in respect of the aire but of the earth or some thing'. He also concluded in his Principia Definitions Scholium that the only correct way to distinguish relative motions from absolute motions was to establish what motion-causes, or forces, were acting. NOTE. Newton's 'action-at-distance' work or Gilbert gravity, can maybe look somewhat less certain outside gravity as in common contact situations, but electromagnetic field theory, quantum theory and relativity theory perhaps also handle such contact situations uncertainly ? And Newton's work also showed that Gilbert's theory was more easily applied to the simpler gravity phenomenon than to magnetism ! But since it is basically Gilbert theory, Newton's gravitation work should be able to be extended to also cover magnetism and electricity for a unified field theory and maybe more as Newton says eg in his Principia preface. Modern knowledge suggests for magnetism and electricity basically using for each a combination of a pair of opposite 'gravities' - and it should now be easy to modify a computer model of gravitation to do that !? The ONLY scientific attempt to seriously consider Gilbert attraction theory since Gilbert was Newton's - and he made some great progress doing so, perhaps unfinished and needing elements of modern signal theory and robot theory. "The hypothesis of vortices is pressed with many difficulties. That every planet by a radius drawn to the sun may describe areas proportional to the times of description, the periodic times of the several parts of the vortices should observe the duplicate proportion of their distances from the sun; but that the periodic times of the planets may obtain the sesquiplicate proportion of their distance from the sun, the periodic times of the parts of the vortex ought to be in the sesquiplicate proportion of their distance. That the smaller vortices may maintain their lesser revolutions about Saturn, Jupiter, and other planets, and swim quietly and undisturbed in the greater vortex of the sun, the periodic times of the parts of its vortex should be equal; but the rotation of the sun and planets about their axes, which ought to correspond with the motions of their vortices, recede far from all these proportions. The motions of the comets are exceedingly regular, and are governed by the same laws with the motions of the planets, and can by no means be accounted for by the hypothesis of vortices; for comets are carried with very eccentric motions through all parts of the heavens indifferently, with a freedom that is incompatible with the notion of a vortex." "Hitherto we have explained the phænomena of the heavens and of our sea by the power of gravity, but have not yet assigned the cause of this power. This is certain, that it must proceed from a cause that penetrates to the very centres of the sun and planets, without suffering the least diminution of its force; that operates not according to the quantity of the surfaces of the particles upon which it acts (as mechanical causes use to do), but according to the quantity, of the solid matter which they contain, and propagates its virtue on all sides to immense distances, decreasing always in the duplicate proportion of the distances. Gravitation towards the sun is made up out of the gravitations towards the several particles of which the body of the sun is composed; and in receding from the sun decreases accurately in the duplicate proportion of the distances as far as the orb of Saturn, as evidently appears from the quiescence of the aphelions of the plants; nay, and even to the remotest aphelions of the comets; if those aphelions are also quiescent. But hitherto I have not been able to discover the cause of those properties of gravity from phænomena, and I frame no hypotheses; for whatever is not deduced from the phænomena is to be called an hypothesis; and hypotheses, whether metaphysical or physical, whether of occult qualities or mechanical, have no place in experimental philosophy." "And now we might add something concerning a certain most subtle Spirit which pervades and lies hid in all gross bodies; by the force and action of which Spirit the particles of bodies mutually attract one another at near distances, and cohere, if contiguous; and electric bodies operate to greater distances, as well repelling as attracting the neighbouring corpuscles; and light is emitted, reflected, refracted, inflected, and heats bodies; and all sensation is excited ..... But these are things that cannot be explained in few words, nor are we furnished with that sufficiency of experiments which is required to an accurate determination and demonstration of the laws by which this electric and elastic Spirit operates. THE END." NOTES. This 'spirit' piece of Newton's General Scholium has been interpreted in several wonderfully different ways, including maybe unreasonably a Descartes material ether mediating dead matter, but it is a term used in places by William Gilbert and its mode of operation including self-acting matter, action-at-distance signal response and brain type action clearly includes the only alternative theory at the time to Descartes mechanism - the Gilbert self-acting robot signal universe. Gilbert's effluvia signals are referred to by Newton as 'spirits emitted' that 'excite bodies and sensation' in his Principia final Scholium to Book 1 Section 11. It is more loosely put in the General Scholium, but was understood as such by many scientists of the time - though Newton's publications having the often confusing habit of often not mentioning other scientists by name unless supporting some detail of his own work was unhelpful, but certainly some unpublished Newton manuscripts specifically connected his 'subtle spirit' section with electric and magnetic phenomena and Gilbert ideas or variants of them. But it may possibly have been intended by Newton to also cover a Descartes ether as well, since he considered both types of explanation and maybe others as options - though to Newton all 'outside science'. However, no matter how clearly Newton explained his blackbox physics most other physicists continued to wrongly interpret it and present it as a Cartesian physics. Indeed soon Cartesian physics with Newton's physics mathematics was widely presented as being 'Newtonian physics' - and still is today. But Newton did concede that at least some things that are at one time unobservables to science, might in the future become observables. But if everything having physical effect was observable as Einstein claimed then might different interpretations still be possible, and might people always be able to posit ever finer unobservables anyway ? Of course all bodies in attraction physics are at least in some respects observers and definable, but this is not the case for other physics theories. Yet if Newton published his physics as having 2 possible alternative explanations, Cartesian and Gilbertian, then his published disproof of Cartesian physics must logically mean his physics really being Gilbertian though avoiding publicly stating that. Newton devoted the 10 pages of Principia book 2 section 9 to disproving Descartes' vortex theory of planetary motion, which you can read in this website's 'Newton against Descartes' section and is summarised above. Though here defining science narrowly, as excluding hypotheses on currently unseens like causes of gravity, Newton like many scientists could greatly value ideas that he considered to be outside science - and in his case certainly hypotheses on gravity's causation. But for his science Newton stuck by his black-box theory as being the best physics possible as long as there were no proven physics theories without unseens. Newton's 'Principia' against any ether. "since it is the opinion of some (Descartes) that there is a certain aetherial medium extremely rare and subtile, which freely pervades the pores of bodies, some resistance must needs arise ; in order to try whether the resistance, which we experience in bodies in motion, be made upon their outward superficies only, or whether their internal parts meet with any considerable resistance upon their superficies, I thought of the following experiment. I suspended.......Therefore the resistance of the empty box in its internal parts will be above 5000 times less than the resistance on its external superficies." "In the scholium attached to the sixth Section, we shewed, by experiments of pendulums, that the resistances of equal and equally swift globes moving in air, water and quicksilver, are as the densities of the fluids....... And though air, water, quicksilver, and the like fluids, by the division of their parts in infinitum, should be subtilized, and become mediums infinitely fluid, nevertheless, the resistance they would make to projected globes would be the same. For the resistance considered in the proceeding Propositions arises from the inactivity of the matter ; and the inactivity of matter is essential to bodies, and always proportional to the quantity of matter. By the division of the parts of the fluid the resistance arising from the tenacity and friction of the parts may be indeed diminished ; but the quantity of matter will not be at all diminished by this division ; and if the quantity of matter be the same its force of inactivity will be the same ; and therefore the resistance here spoken of will be the same, as always proportional to that force. To diminish this resistance, the quantity of matter in the spaces through which the bodies move must be diminished ; and therefore the celestial spaces, through which the globes of the planets and comets are perpetually passing towards all parts, with the utmost freedom, and without the least sensible diminution of their motion, must be utterly void of any corporeal fluid, excepting, perhaps, some extremely rare vapours and the rays of light." "It is well known that bodies act one upon another by the Attraction of Gravity, Magnetism and Electricity; and these instances show the tenor and course of nature...."
Nearer to Einstein's time, Gilbert-Newton attraction physics was seen to have been supported by the prominent English chemist and atomic physicist Sir William Crookes (1832-1919) in one 1895 lecture stating ; "as to the nature of atoms, it seems to be capable of easiest solution by the conception that these possess - as centres of force - a persistent soul, that every atom has sensation and power of movement." This is really more Gilbert than Gilbert and combined with Newton, and was a view that he put in at least a number of lectures, so clearly Crookes strongly preferred Gilbertian physics over the Einsteinian physics that was emerging by 1905 and it may have prompted him to his experiments on spiritualism though maybe not logicly related. Sir William Crookes was maybe more openly a committed Gilbertian than Sir Isaac Newton, though again without acknowledging Gilbert. He seems to have thought that some of the atomic 'radiated matter' he studied might be some of Gilbert's 'emitted effluvia', though we still do not know if atoms can emit some more less-detectable things. But in England clearly Gilbertian action-at-distance signal-response physics long survived its falsely claimed disproof if only quietly with a select minority of English physicists that included at least Hooke, Newton and Crookes. And many physicists today claiming to know Newton's physics seem entirely unaware that in his Principia, chiefly concerning gravitational force, Newton in several key places notably falls back on magnetic force as better demonstrating his argument. And there are still some great physics ideas to be found in William Gilbert's maybe somewhat difficult 'De Magnete', or 'On The Magnet' - the nearest early science equivalent of The Golden Bough magic study of Sir James Frazer, or maybe that is this site ? Newton stuck by his Opticks and his Principia including its General Scholium despite criticisms and false interpretations of it mainly by supporters of Descartes who resented Newton's disproofs of Descartes' theory and extensive support for Gilbert attraction physics theory. Though he did much work regarding his published disproofs of substantial aspects of Descartes mechanical push theory and little or none regarding disproving Gilbert signal attraction theory, Newton considered that his black-box theory position did not really take sides between Descartes and Gilbert explanation theories and allowed that both might be basically consistent with his own theory, and it is certainly hard to claim that Newton himself really helped to advance either theory in his trying to help advance physics. PS. You can read the English 1730 edition of Isaac Newton's Opticks and the Latin edition at Opticks Latin- or you can learn about using Google Books at the bottom of our History of Science section. otherwise, if you have any view or suggestion on the content of this site, please contact :- New Science Theory (e-mail:-vincent@new-science-theory.com) Vincent Wilmot 166 Freeman Street Grimsby Lincolnshire DN32 7AT.